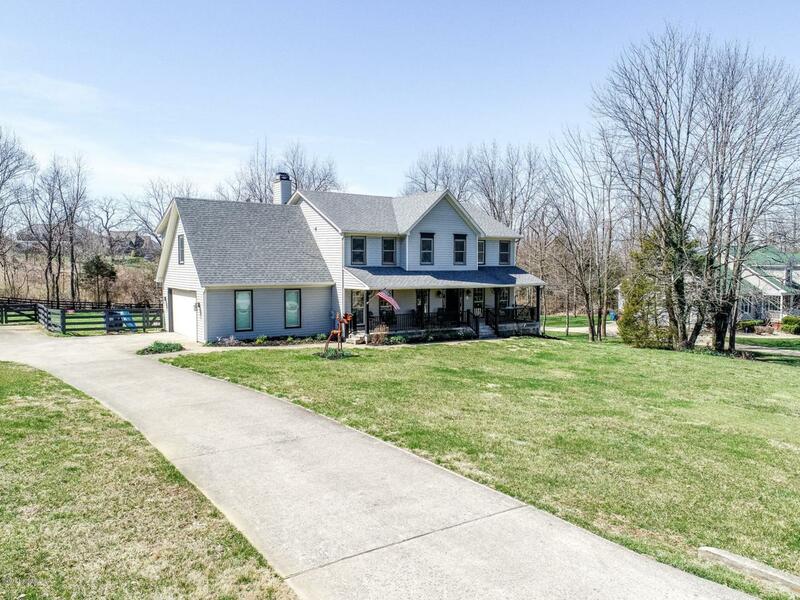 1830 Grand Villa Drive is a 5 bedroom, 3 full bathroom home located in the convenient Grand Villa subdivision just minutes from I-71 and in the Award Winning Oldham County School District! The main level offers a very desirable floor plan with plenty of space for entertaining. The formal living room, could also be used as an office, features crown molding and french doors. The formal dining room offers access to the eat-in kitchen and offers a chair rail, crown molding and hardwood flooring. The eat-in kitchen has granite counter-tops, breakfast bar and is completely open to the family room. The family has a wood burning fireplace access to the sizable tiered deck and spacious 1 acre fully fenced yard.Enjoy the beautiful views of the woods near the rear of the yard which also provides plenty of privacy. An office, full bathroom and access to the 2.5 car garage complete the 1st level. Space abounds in the 2nd level of this beautiful home. The master suite has a sitting area, walk-in closet and en-suite master bathroom. The master bathroom features a walk-in shower, dual vanities and tile floor. The 4 additional bedrooms are all of good size and the hall bathroom also has a double vanity. A second laundry hook-up is also found on the 2nd level. The walk-out lower level is the perfect place to add additional living space, laundry hook-up and more. Don't miss out on a great home at 1830 Gand Villa Drive! Call today for your private showing.